“Sobeys regrets that this matter has taken so long to come to a conclusion.” That’s the best Sobeys can come up with in terms of apology in a recent racial profiling case. 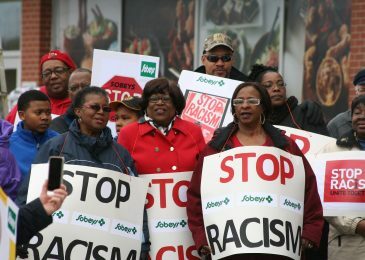 By skillfully exploiting flaws in Human Rights legislation Sobeys almost got away with racism. 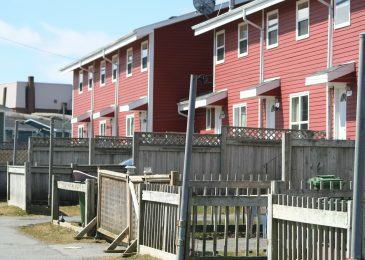 Good thing Ms. Andrella David and the residents of Upper Hammonds Plains had other ideas. Our series ‘Lives on Welfare’ continues. 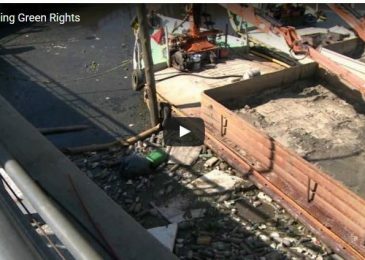 Here Joe, one the most gentle and soft spoken people I know, talks about becoming the target of a verbal attack by a Community Services employee. Being treated disrespectfully by Community Services staff and feeling powerless as a result is another common theme in the stories people on welfare tell. 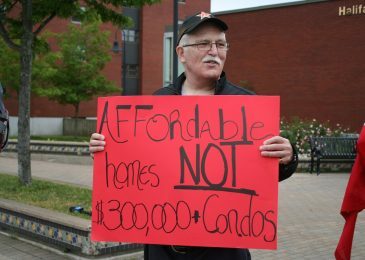 Tenants of social housing in Spryfield and elsewhere are tired of waiting for repairs, and are resuming their countdown to a full blown rent strike. Liberal MLA Brendan Maguire is offering his full support to the group that issued the strike call. 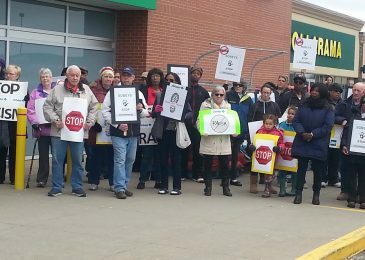 Andrella David, a victim of shopping while black at the Sobeys store in Tantallon, continues to wait for an apology by the large grocery chain. “This was never about the money for me; it has always been about the dignity and respect that I deserve,” she writes in a recent statement. 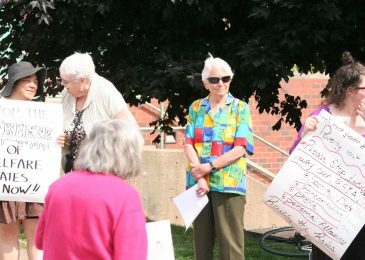 Lives on welfare: How many steps can you walk? 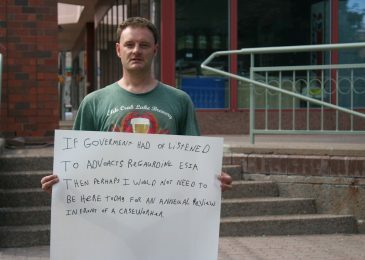 Two glimpses into the life of a person who receives social assistance in Nova Scotia. 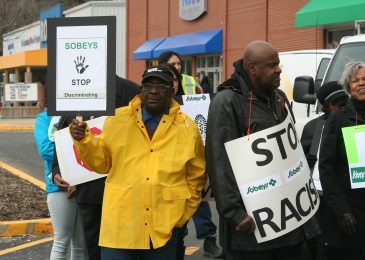 Not getting the apology for racial profiling they are looking for, the African United Baptist Association is calling for a boycott of Sobeys stores in their communities. And the boycott may well soon spread to the Atlantic provinces. Poverty advocate and social assistance recipient Kendall Worth just went through his Annual Review. Here Kendall suggests some of the changes that would make it a much better process, based on trust rather than suspicion, clients’ needs rather than saving money. 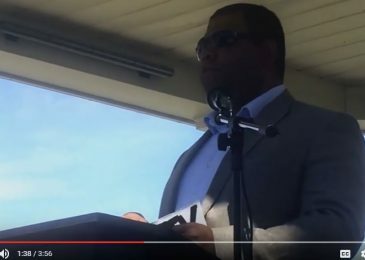 NSGEU president Jason MacLean calls upon councillor George Baker to abort his run for mayor, and discusses racism and privilege in his speech at the Rally for Diversity in Amherst. 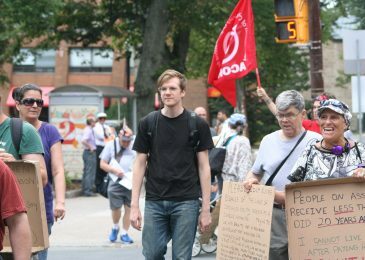 Some questions ACORN Nova Scotia suggests you should ask as you chat with municipal candidates this Fall.